The garage door company GS Overhead Systems is available to provide service to the San Francisco Bay Area and Marin County. When your garage door system breaks down and needs attention. You can be sure that a professional technician is available in your local area to assist you and take action to correct the problem you have encountered. In 1995 we opened our doors to the residents of the Bay Area and today we are still the choice for customers who need a reliable door service company concerned about satisfaction and quality. When your garage door spring breaks, you are going to have problems opening the door. Do not try to force the door open or attempt to use the garage door opener. You may cause more damage and make it more difficult for the repair person assigned to fix your spring. Whether you have a one piece tilt up door or a sectional overhead door. The experts at GS Overhead Systems are equipped to replace the broken part and give you additional services required to make certain the repair will be a long lasting one. Our trucks are stocked with a variety of the most popular door springs used today. Torsion spring replacement is one of our most common calls. FYI, Every garage door spring is calculated to the individual door and the same weight and specification item should be used for replacement. In other words, you cannot use any spring on any door. One piece jam pivot springs are also stocked by our drivers. Some tilt up garage door spring systems have been discontinued due to safety. If you have one of these, we can assist in updating your door to the present safety type. Rollers, hinges, cable, garage door balancing and track adjustment are just a few of the services we provide. In stock remote controls and keyless entry devices are delivered and programmed for your automatic door. As well as new garage door openers installed. We carry top manufacturers products. When a tech arrives to the job site he will estimate what parts are need, give you an accurate quote and proceed with the project on your approval. Professional quality, friendly service and reasonable rates. Call us for all your door and opener supplies. Our Service Area Includes: The entire San Francisco Bay Area and Marin County Ca. Are you located in Sausalito, Ca. Mill Valley, Ca. Corte Madera, Ca. Belvedere, Tiburon, Ca. Ross, Kentfield, Larkspur, San Anselmo, Ca. Fairfax, Ca. San Rafael, Ca. Novato, Ca. Petaluma, Ca. Schedule an appointment for a garage door service or repair. 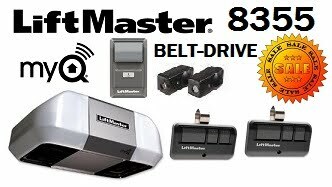 Order a new garage door opener installed by one of our technicians. Replacement remote controls in stock. Call to receive brochures for new garage doors and door operators. Coming in 2016 we will be opening up shop in San Mateo County to provide faster and more reliable services to our friends and customers on the peninsula side of the bay. San Bruno, Millbrae, Daly City, South San Francisco, Burlingame, San Mateo, San Carlos, Redwood City, Ca. See ya soon.